There has been a plethora of new Asian establishments popping up all over Austin, but there are some places that stick around because they are just that good. One of the best things about Asian food in general, (with the exception of sushi) is that it is affordable. 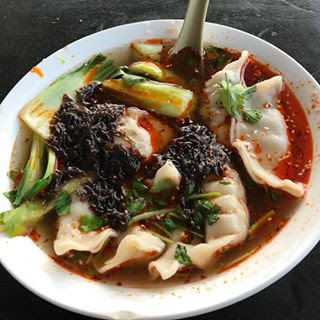 Within just a few miles of my home in north Austin, one can find an abundance of Chinese, Vietnamese, Korean, Thai, and Indian restaurants. If you are a home cook, and like to control the amount of sodium, and the withholding of MSG, look no further than the multitude of Asian supermarkets all over North Austin. In addition to the longstanding MT Market in Austin's beloved Chinatown, (10901 N Lamar Blvd ) The Korean-forward H Mart has come on the scene at 11301 Lakeline Blvd, and it is worth a trip even if you don't cook Asian food at home! There is a wonderful food court, a wide variety of exotic fruits, and an impressive selection of grab-and-go foods that can make a quick snack or a complete meal for the entire family. The newest addition is 99 Ranch Market, located at 6929 Airport Blvd, which seems to be the local favorite for hard-to-find Asian products. There are also many Indian supermarkets sprinkled around town, but I like to pop in to Ghandi Bazaar (8650 Spicewood Springs Rd ) whenever I have a serious noodle craving. Fortunately, some of my favorite spots for a quick Asian food bite are located next to an Asian market. 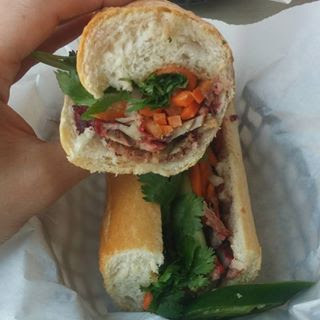 If you're craving a sandwich, longstanding Baguette House, located in the same shopping center as MT Market has the classic banh mi that will keep your wallet happy as well. For under 5 bucks, you can get a crunchy, fresh, bbq pork banh mi with pickled veggies. Here is my go to order, the #5, add pâté. You can also take a full baguette home with you for under $3! To date, this is the best bread I have found in Austin. It is light, airy, crunchy, and pairs perfectly with wine and cheese on a stay-at-home date night. If you've enjoyed this post, stay tuned for next time, when I highlight a few more of my favorite Asian eats around town!